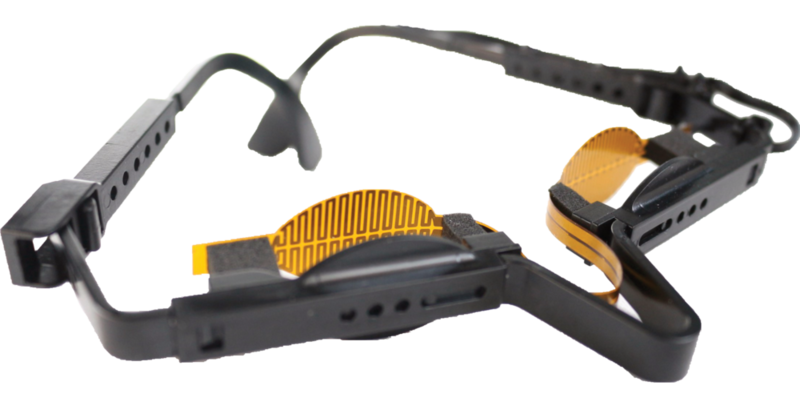 Dry Eye Disease (DED) is a complex condition that is chronic and progressive. More than half of those with dry eye disease do not report symptoms, especially in early stages. If identified early when mild, it is easier to treat and helps slow progression. There are two primary types of dry eye disease: evaporative and aqueous deficient. Evaporative DED is caused by meibomian gland disfunction and is present in over 80% of cases. Purely aqueous deficient DED is rare. Many people have a combination. Our testing protocol is designed to determine the cause of your dry eye disease so we can treat you more efficiently and effectively. Screen time is a major contributing factor to increasing reports of dry eyes in younger patients. When focused on a task, such as looking at a device screen, we blink less frequently. This exacerbates dry eye symptoms. Dry eyes are a part of the natural aging process. The majority of people over age 65 experience some symptoms of dry eyes. 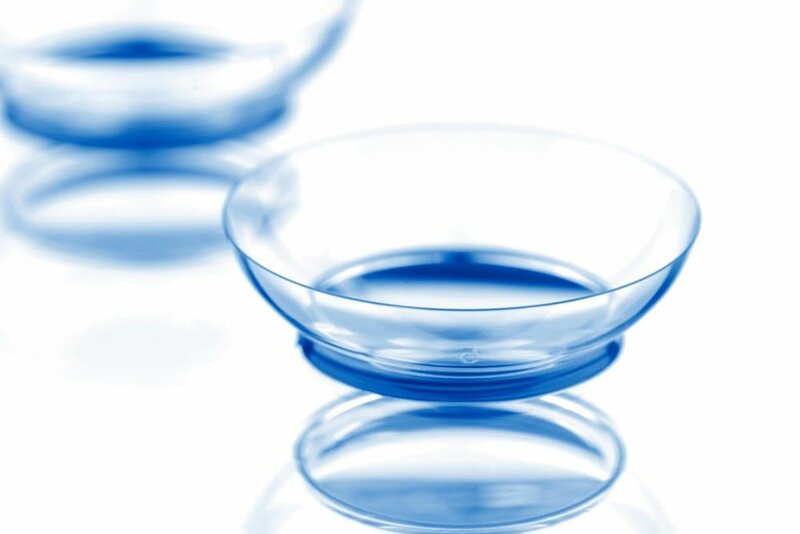 Contact lenses can dramatically increase tear evaporation, causing dry eye discomfort. Exposure to smoke, air pollution, high altitudes, sunny, windy, cold, or dry air increase symptoms. Women tend to be more likely to have dry eyes due to hormonal changes. Pregnancy, oral contraceptives, and menopause can contribute to dry eyes. Many medications have dry eyes as a side effect. Dry eyes are a symptom of several diseases, including thyroid disease, arthritis, lupus, and Sjogren's syndrome. Every 20 minutes look 20 feet away for 20 seconds. This is especially recommended for patients who often read or work on the computer. When we do concentrated actives we blink two to five times less frequently than normal, reducing tear production. 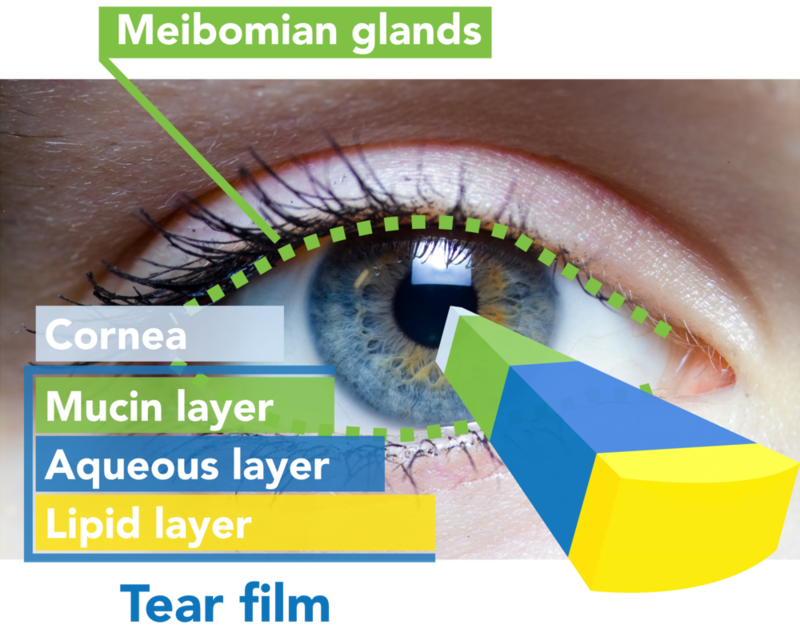 Meibomian glands in your eyelids produce oil to help keep the moisture on your eyes. It is important to clean the makeup off your eyes every night to make sure the glands can release the oil properly. It is important to point all airflow, such as heating and air conditioning vents, fans, and defrosters, away from your eyes. Avoid sitting under or sleeping with ceiling fans running. Keeping a humidifier in your house or next to your bed at night helps keep your eyes hydrated. EyePromise EZ Tears: a daily nutraceutical to help produce more natural tears with a greater level of lubrication to relieve eye discomfort and irritation. You can also increase consumption of Omega-3s through supplements and diet. Place in microwave 15 seconds. Use 10-15 minutes daily prior to lid massage four to five times per day or as directed. Maintains appropriate temperature. Use 10-15 minutes two to three times per day or as directed. After warm compresses and lid massage, follow with one of the following foams prescribed by our doctor to cleanse your lids. Use a quarter pump on a clean washcloth and wash along lid margins. Rinse thoroughly.